Here are some different views of the eclipse. The first in an animation I made of the GOES 16 satellite imagery. 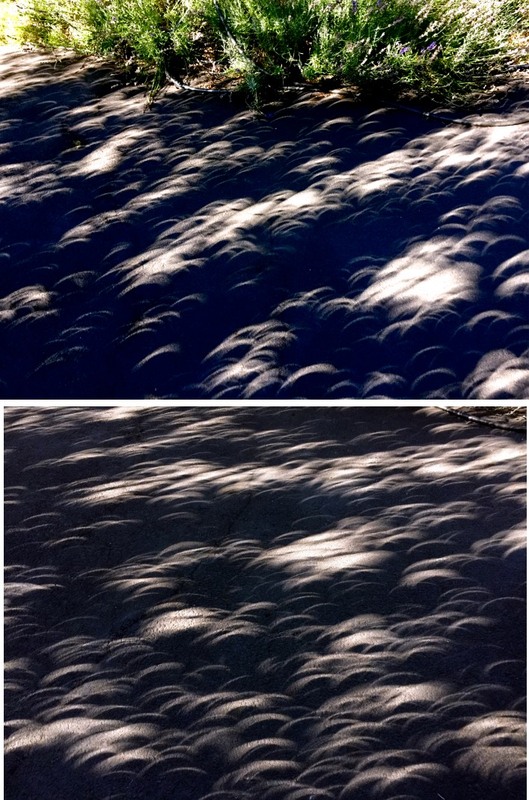 The second two photos show the eclipse's light as it filters through leaves and illuminates asphalt driveway.